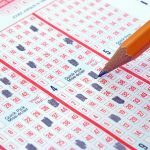 Lotto Results is your one-stop resource for everything you want to know about lotto and lotteries results across Australia. 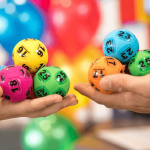 We have the very latest results and dividends for Monday Lotto, Tuesday Oz Lotto, Wednesday Lotto, Thursday Powerball plus the very popular Saturday Lotto and the $2 Super and $5 Mega Lotteries. Not sure which lotto game or draw date you last entered? No problem, all you have to do is look up the winning numbers on our home page and we’ll provide you with the corresponding dividends and information. Lotto Results has everything you need to know about lotto and more. 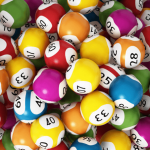 If you’re interested in other gaming options Lotto Results also provides tremendous resources on horse racing, sports betting, prize home art union lotteries and many other lottery games Australia wide. We can even provide you with the latest Keno Results and Dividends from your previous games played at the hotel or club. You can also catch the latest news and big winner announcements right here. With all the updates and information you get from Lotto Results, you won’t need to look anywhere else. To Buy tickets in the next Lotto or Powerball Lottery draw simply click here. There are five main lotto draws every week in Australia. The weekly lotto games close at 7:30pm AEST with the results available shortly after the draw concludes. Monday Lotto has a guaranteed prize pool of at least $1 Million for up to 4 winners. There are 6 divisions to win in Monday Lotto each week. Monday Lotto games consist of drawing 6 winning numbers and 2 supplementary numbers . To win Division 1 and your share of the main prize pool you need to have selected all 6 winning numbers in a single game. Every Tuesday features the Oz Lotto draw which guarantees a minimum division one prize pool of $2 million. Tuesday Oz Lotto is played by drawing 7 main winning numbers and 2 supplementary numbers. In order to win division one in Oz Lotto you need to have all 7 winnings numbers in a single game. Wednesday Lotto has the setup as Monday Lotto with a guaranteed prize pool of at least $1 Million. To win match all 6 winning numbers in a single game. Thursday Powerball is one of the richest lottos in Australia and offers a minimum prize pool of $3 Million for division one. However because of Powerball jackpots it is common for the prize pool to reach in excess of $20 Million. To win Powerball you need to match the 7 winning numbers drawn from the main barrel plus also have the Powerball which is drawn from a separate barrel. In Saturday Lotto 6 winning numbers are drawn plus 2 supplementary numbers. To win division 1 you need have all 6 winning numbers in a single game.